Get the Lead Out! Carpenters Support H.R. 3554/S.391 H.R. 2922 button. United We Bargain Divided We Beg button. Support Farm Workers, with United Farm Workers of America logo button. 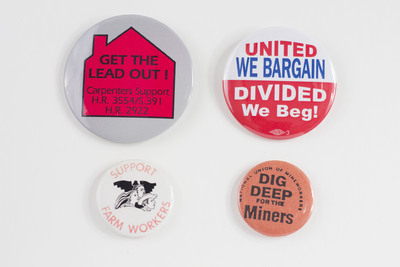 DIG DEEP for the Miners National Union of Mineworkers button.